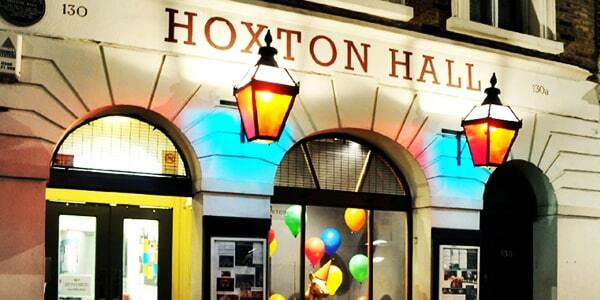 Hoxton Hall was first built as a music hall in 1863. Due to police complaints by the police, the Hall lost its performance licence in 1871. It passed to new owners, who applied for a new licence in 1876. The licence was denied and the building changed hands again (The Blue Ribbon Gospel Temperance Mission purchased the theatre in 1879). The theatre finally passed to the Quaker organisation the Bedford Institute in 1893. In 1910 the building was extended (including informal learning rooms). The first half of the 20th Century saw the building change purposes several times, from a home to child prostitutes in the late 1920’s to an air raid shelter during World War 2. The theatre was fully refurbished in 1977 and today serves as a cultural hub for the local community as a performance space for youth groups.